If I had to break the Kingdom Hearts series down into some key components, confusing plot twists, cheesy speeches and frustrating bosses would be in there. 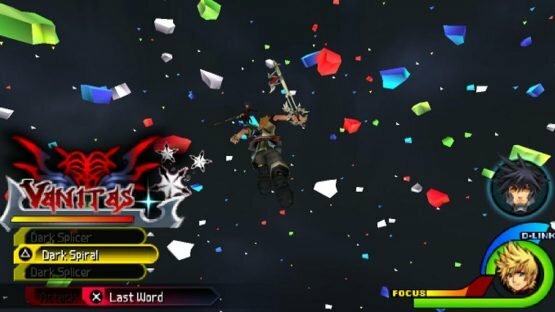 So, I figured it was time to look back at some of the most frustrating Kingdom Hearts bosses that brought us to KHIII‘s momentous release. 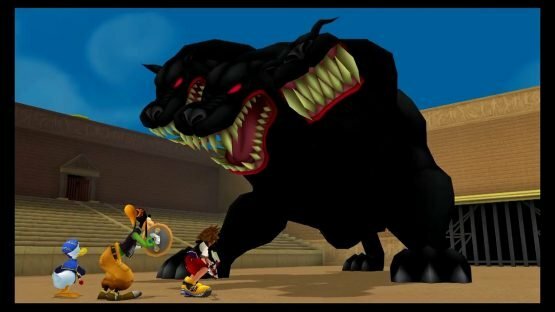 General height and mobility issues in the first Kingdom Hearts make both this and Wonderland’s Trickmaster a real chore, but Cerberus gets the edge for having 3 individual heads you have to fight. Ugh. I don’t mind so much when the horrible bosses are ones the Coliseum lets you bring on yourself, but, as a necessity, Cerberus was a pain. The Anti Black Coat Nightmare most irritating point is his incredible speed. He can zoom across the arena and demolish a fair chunk of your HP in the blink of an eye! What’s more, he has a horrible attack that leaves you on one HP, then scatters the rest of your precious health across the arena to be picked back up as items. By you or by him, of course. Healing bosses are pretty tricky, but it’s extra annoying when they’re using your HP to do it! True to his lazy nature, Demyx likes to summon water clones to fight on his behalf and will do so time and again throughout your fight against him. The rest of the battle isn’t so bad, and these clones aren’t that hard to destroy, but the harsh time limits you’re given to take them all out in number more than qualify the Demyx fiight for one of the most infuriating bosses in all of Kingdom Hearts II. Dance, water, dance! I’m not sure what it was about the Xaldin battle but he really gave me trouble. That’s far too many lances for one man to be wielding, not to mention the freaking LANCE DRAGON. Mickey’s nifty ability to revive you is a blessing here, but relying on luck is never a position you want to be in. 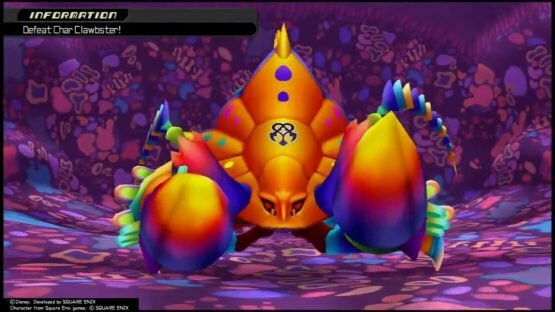 The Dream Eaters in DDD may have fun, colourful designs and cutesy names, but that doesn’t stop the Char Clawbster from doing everything in its power to run you out of both your Drop bar and your patience. Playing on one of the biggest hurdles in DDD, it’s a pro time-waster, running away and forcing you to run across the map to turn it upside down. It frequently just drives on the ceiling, leaving you with no way of hitting it that’s not in the way of its attacks unless you’re constantly jumping, which is a pain. It also has an attack which drains your Drop bar further for even more time-wasting! 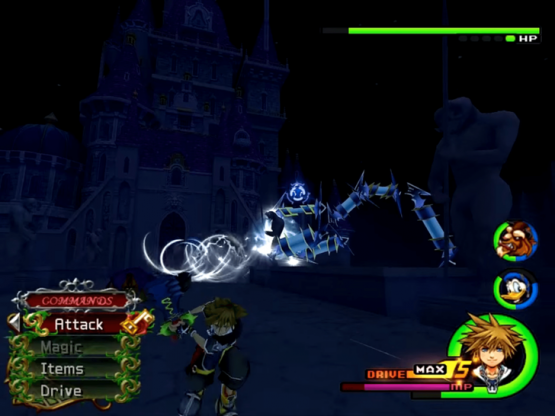 The icy Chill Clawbster you face as Sora is not nearly as bad as its fiery counterpart inside the whale. Monstro always spells bad news and in DDD‘s case this is definitely the Char Clawbster. There’s just something about this outfit, huh? 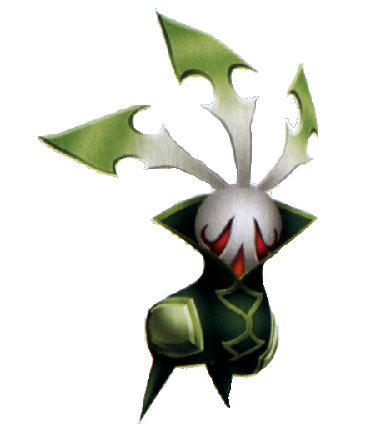 While the first Kingdom Hearts had Dark Riku and Chain of Memories had Replica Riku, Vanitas fills in as irritating recurring boss for Birth By Sleep. His habit of teleporting out of your combos means he’s always a bit of a pain to fight, but the battle against him at the end of Ven’s route really ramps things up. Once you get him down to a miniscule amount of HP, it’s goodbye to standard fighting and hello to playing snap with Vanitas in space. In order to deal that final blow, you have to match attacks with Vanitas to fill your Command Style Gauge (confusingly also Vanitas) so you can finally activate the Last Word command. If you fail this, be it by failing to read his movements a couple of times or the big shiny final blow actually missing (it’s possible) then you have to go through the whole first phase again. It’s more annoying than outright difficult, but it does add to final stage Vanitas’s overall toughness. Vanitas again…but this time in space! Bosses with moves that take up the whole arena are a special kind of evil and Xigbar certainly fits into that category. The further throughout the battle you get, the more Xigbar likes to throw his biggest, most devastating move at you. And everything around you. Repeatedly. Thank goodness for Anti-Sora, whose unusual movements make him slip through the gaps in Xigbar’s attacks more effectively. 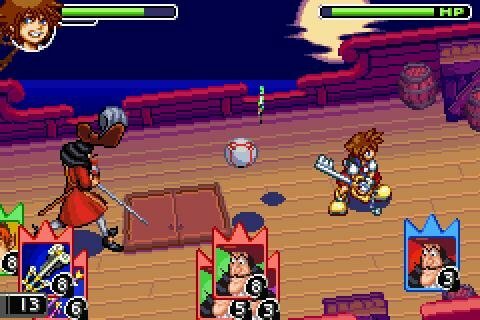 I’ve always wondered if the chances for activating Anti-Sora went up during this battle, but if not then I am extremely lucky because I would not have managed without him. This is the boss battle that almost made me give up on Chain of Memories completely. Hook doesn’t hold back in throwing explosives at you, and they’re even harder to dodge when the whole battle takes place on a tilting boat. 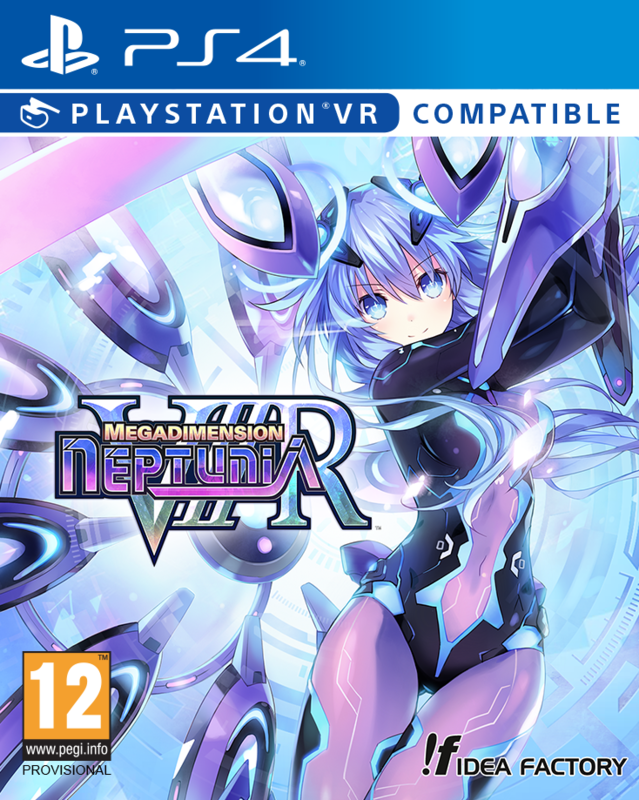 As with some of the other bosses in CoM, this is somehow less frustrating in Re:Chain of Memories, but the original battle gets high points. I would rather walk the plank than fight Hook again. 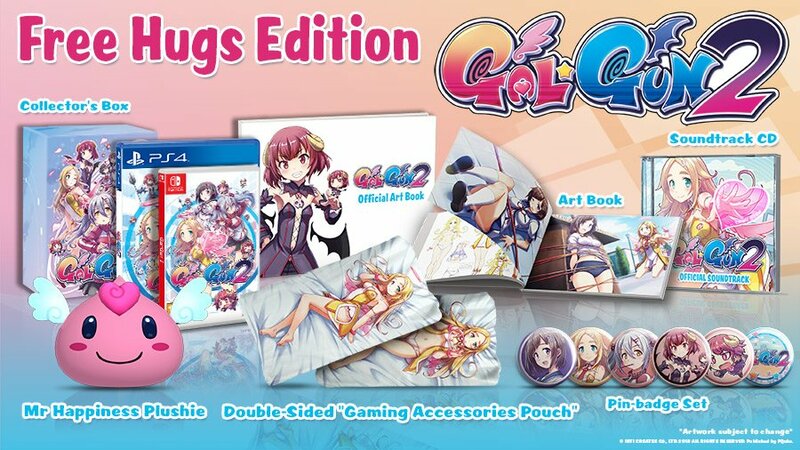 Time will tell on that one, I guess. 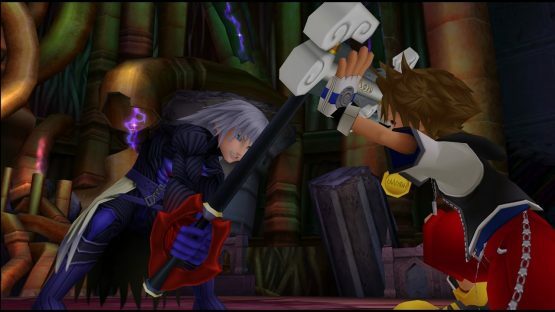 The second instance of fighting Riku in Hollow Bastion must be one of the hardest bosses in the whole of the first Kingdom Hearts. He sure isn’t shy with that dark power anymore! Dark Riku likes to erupt the small space you’re fighting in with fiery pillars of magic which are difficult to avoid even when you’re gliding around. You also don’t have Donald and Goofy to help you in this battle, as they’re pushed out of the arena by the invisible wall you’ll find yourself bashing into so often. Not that they’re likely to have lasted long in the face of this abominable boss anyway. 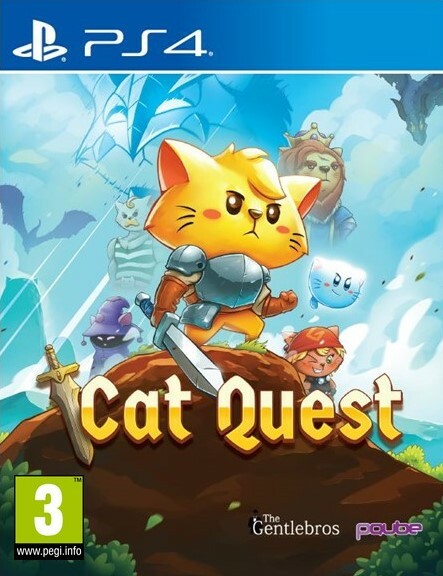 Unskippable cutscenes before boss battles are a curse too. Whoever thought of an enemy boss having Auto-Life? AUTO-LIFE. 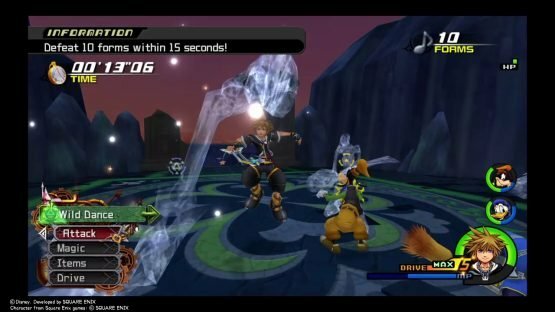 Fighting Vexen is tricky business enough, but having the sweet success of defeating him ripped out from under you when he just gets back up for another round is a frustration few boss battles, even across the whole Kingdom Hearts series, have been able to match. I will never make the mistake of merely assuming my enemy is truly dead again. 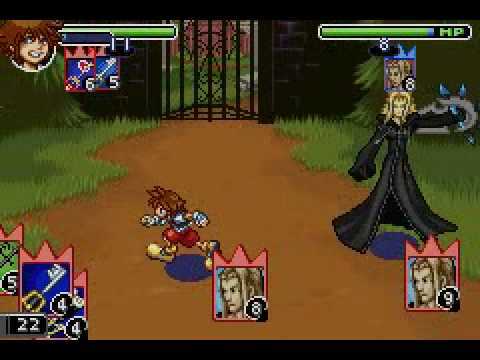 In addition to his Auto-Lifing ways, you have to attack Vexen from behind for any real effect, which is a real pain when he keeps floating around. Also, he freezes you, which is probably one of the most frustrating things a boss can do. I hate enemies that freeze you. I hate them so much. And I realised that when I fought Vexen. I hate them. Sure these are just some of your run-of-the-mill Unversed, not a boss, but these little guys deserve a special mention just for the sheer amount of trouble they caused me in BBS. The Mandrakes have a penchant for appearing in groups of 3 or 4 at a distance and sniping you with their Leaf Cutter while you try to fight off whatever else is in the area. Oh yeah, and they can also poison you. I died to these guys more than most bosses. Rot in the Radiant Garden waterway forever, tiny death radishes. 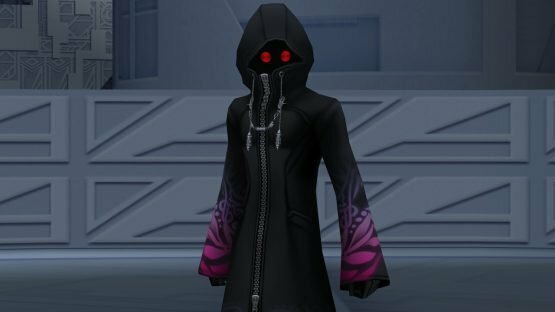 There are plenty more bosses with particularly annoying quirks who could have made this list, but these are the ones I deem the top 10 most frustrating Kingdom Hearts bosses from all across the series! Agree with these choices? 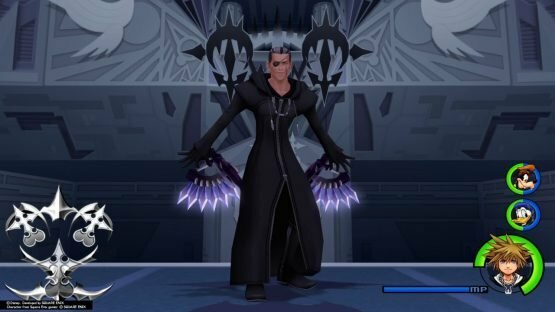 Let me know which your own frustrating Kingdom Hearts bosses are in the comments!